This FAQ contains info common to all of my desktop software. It's managed all in one place so changes are properly reflected across all software pages. Q: What information is transmitted when I Check For Updates? The app version making the query. The IP address and time/date of the request. No other identifying information is transmitted. Q: Is credit card information retained when I make a purchase? A: No, never. Payments are made via a third party processor, currently Paypal, and they do not provide this information with a purchase confirmation. Q: When is the downloaded executable an installer and when is it a run in place application? All downloaded executables on Windows run in place. Q: Can I install the software outside "C:\Program Files\AppName? A: In versions released prior to June 2015, all apps simply run in the place you drop them. In later versions, the registry is consulted for the drive and directory where program files should be located. The app is installed to a subdirectory of the directory listed in that Registry Key. Q: Why does the app bomb with a memory error in ReactOS? A: The ReactOS project is still in an "alpha" state, meaning it's still in development and not stable yet. Give it time though. ReactOS is an OS to watch. That said, ReactOS has become much more well behaved in recent years. Q: Why do I get an error when run from a directory with characters that aren't ANSI? A: This was a (now resolved) bug in the programming language I use. The workaround for old releases: Locate the binary in a directory with only ANSI characters (and not those in Kanji, Chinese script, Russian or other non-ANSI character sets). Padded does not support Windows 95. Padded supports Windows 98 through Windows 10 (and up). Q: I'm getting a dialog saying it "can't be opened because it is from an unidentifed developer"? A: That's "GateKeeper" on on Mountain Lion or above. This restriction is much less about security and more about Apple trying to monopolise all application distribution through its App Store, where it charges both an annual fee (even to distributors of free software) and takes a hefty 30% cut from all sales. Q: Why does the app immediately close on start? You'll likely see an error appear before the app crashes. Q: When run from Terminal, the app dies with: CGColor with 1 components. Abort trap: 6. Then it throws up an Apple crash dialog. Why? This one took a long time to diagnose properly, with some wrong turns along the way. The good news is it's extremely rare. You will most likely have had your Mac for a few generations of Mac OS X, and upgraded progressively. Unfortunately, a quirk in the way your main user account profile was originally created or has been updated along the way, causes this error. Click into Users and Groups. Click the lock to allow you to make changes. It will ask for your username and password. Click the Plus Sign (+) under the left pane to add a new account. Use "Standard Account" or "Administrator Account". As it's just a test account, call it something memorable like: "Test", "Standard Account" or "Administrator Account". Click "Use separate password" then put a new password into the entry fields. Now, logout and log back in as this new user. Try using the app again. If the app now works, yep, it's the user account profile. The bad news is the issue will remain in the acccount with the error, even if you remove and recreate the user account. The only resolution known at this stage is to create and use a new user account with a different Account Name. Q: I get an Internal Program Error dialog and the popup mentions libTclapplescript1.0.dylib? A: If you get this error, you're not running the most recent release of your app. Please upgrade. This used to be used to open your browser to a URL. The libTclapplescript1.0.dylib no longer works on modern Mac OS X platforms, and has been superseded. Q: Can I still use the old PPC/Intel Universal builds on Mac OS X Lion and Mountain Lion on modern hardware? 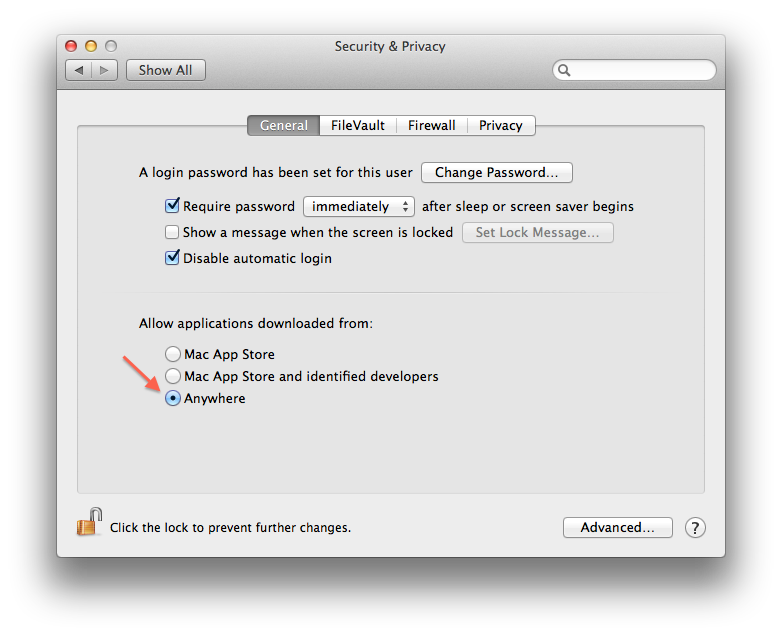 A: The Intel code in the PPC/Intel Universal builds is 32-bit, however, this will still run on Lion and Mountain Lion. Q: Is this software coming soon to the Mac App Store? Q: Will there be any new releases for PowerPC? No more PowerPC releases, sorry. Q: Why isn't 'Check For Updates' showing the latest release? A: Check For Updates checks your OS version and CPU architecture to determiine the latest version available for you. A PowerPC Mac won't be prompted to update to a version only available for Intel32/64. Q: What does Auto-Update do on Linux systems? A: In versions released prior to June 2015, and after, it'll let you know if there's a more recent version available than the one you're running, and give you a click-button to visit the website to download and upgrade. Linux admins usually use package managers to handle upgrades. If the software's not in package management, they probably want to control which versions they're running in /usr/local. For now, packages are available in DEB, RPM and Tarball formats. In future, there's an intent to setup a Repo that package managers can query and download from. Watch this space. Q: How do I install a DEB package onto my AMD64 architecture Debian system? Q. When I start the app from the terminal, it quit without giving me an error message. What do I do? A: Your Linux is most likely 64-bit. Install the ia32-libs package and start the app again. Q. I get this error: "application-specific initialization failed: file open failed"
A: The binary doesn't have sufficient permissions to run. Try changing the file permissions with chmod to 755. Q: I get this error: "libgcc_s.so.1 must be installed for pthread_cancel to work"
You may need to install the lib32gcc1 package. Q: I get this error: "Error: couldn't load file "/tmp/tcly8lNEJ": libX11.so.6: cannot open shared object file: No such file or directory"
This generally means the ia32-libs package is incompletely installed, often the result of a distribution upgrade. Check by reinstalling the ia32-libs package, and resolving any issues apt reports. Q: How do I install this RPM package onto my AMD64 architecture Fedora system? A: Fedora doesn't have a single ia32-libs package like Debian and Ubuntu. However, this page at Metztli Information Technology Blog Bits provides a text file, and a one-liner to process that text file, to install the 32-bit compatibility libs collection. Q: The DEB/RPM package seems to indicate only a dependency on x11-common, but, not a particular version or other dependencies. What are they? Q: Is this software coming to the Ubuntu App Directory? While Linux/X11 is very easy to code for, given the strong resistance to both commercial software and free closed source software on the platform, it's doubtful there would be enough demand to justify the time spent. Q: Some software download sites are bundling their software installers with other software. Is this allowed? A: Permission is absolutely not granted to do this. It's a terrible, user-hostile business model.